Generic Variable Merges codes are a powerful feature. It gives designers and front-end developers an unprecedented amount of control for different conditions. They can be used on any page that allows Custom HTML (currently not available in emails). There are 3 merge codes that you can use, but 2 are the Primary ones. 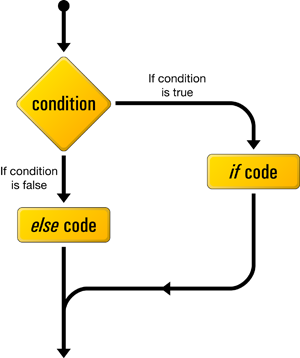 ##IF[YourVariableName=Value]## Show if True ##ELSE## Show if False ##ENDIF## - Creates the condition for your variable, and what happens when the condition is met. Note: Generic Variables do not work with capital letters. Please keep all variables names lowercase. MfgIs is only an example, it can be almost any string you want. Notice how we used another merge code to set the variable. This means that MfgIs will always be whatever the manufacturer name is of the product being viewed on the Product Details page. Decide when something should happen. We used Nike as our manufacturer. Now, any products that are produced by Nike will trigger the special content. NOTE: This value is CASE SENSITIVE. Nike is not the same as NIKE or the same as NIke. Ensure the value you use is EXACTLY what is in the system for the manufacturer. Part 1... ##SET[MfgIs=##MFGNAME##]## (This is normally placed before the If function. Part 2... ##IF[MfgIs=Nike]## <your html code, image, banner, special comments, etc that you want displayed if the condition is met. > ##ELSE## <normally blank, but could include whatever you want if, in this case, the Manufacturer is NOT Nike AmeriCommerce Online Stores > ##ENDIF## <--- This is the closer and MUST be present. Your site may break if it is not placed correctly. NOTE: Part 2 is placed wherever you want the special content to show up. ##SET[var=Hello! ]## //Sets generic variable "var" equal to "Hello!" ##SET[anothervar=Goodbye! ]## //Sets generic variable "anothervar" equal to "Goodbye!" Why the Generic Variable Merges don't work in the HEAD section? You can put the above text and merge code inside an HTML comment if you don't want it to display -- I tried adding HTML comment code here, but Zendesk removes HTML from article comments. Both options gave me the "Your IF code". I tried it with other variables and I get the same result. But when the same code is moved to the BODY it works. Merge codes get set server-side before the server serves up the page to the browser. window.location.pathname gets set in the browser after the page has been served. So, no, it is not possible to do. Most pages have a URL merge code that will pull in the URL of the page. For example: ##ITEMURL## -- Those might work, depending on what you're trying to setup. So if I set a variable equal to a merge code, but the merge code is empty what is returned? In my case some of the products don't have a long description so when this happens I want to show the short description instead. I can't figure out what is returned. Is there a way to show $$STOCKQUANTITY$$ only if less than 10? The following should add a "." to the end of the targeted category (Books), but does nothing. I've also tried it with ##SET[catName = ##CATEGORYNAME##]## but same result: nothing. This code block is within a Widget layout. How can we accomplish this? is there a conditional for numbers like > or <?